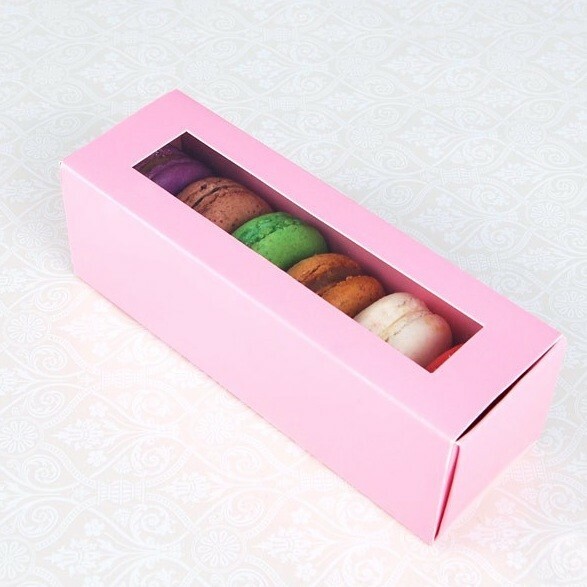 Our square acetate "windows" cupcake box allow the frosted tops and decorative touches on your macarons to peek through. This is a great presentation box for macarons. It has a white slideout container for the macarons and a gloss white outer frame with clear window. Measures: 17x5.5x5.5cm﻿. Boxes come flat, easy to assemble. Our square acetate "windows" allow the frosted tops and decorative touches on your macarons to peek through, even when the box is closed. Easy folding assembly; great for gifts and favors as well.